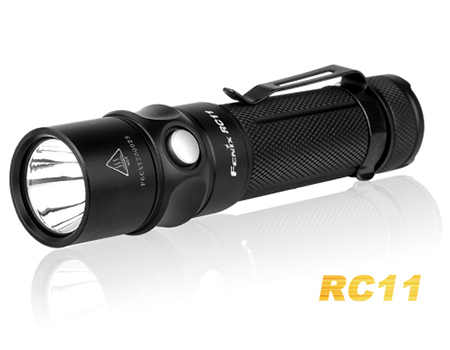 Measuring at only 4.5 inches in length, the RC11 delivers up to 1000-lumen output in Turbo mode and a maximum run time of 135 hours in Eco mode. 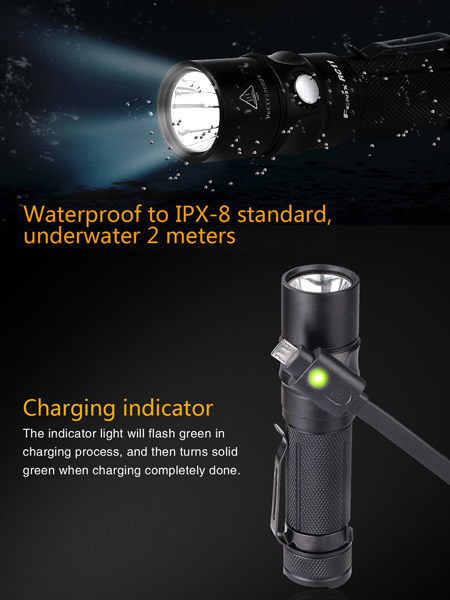 As a magnetic charging flashlight, it is equipped with an innovative dual-purpose charging cable that features a magnetic charging port and Micro USB charging port. Powered by one 18650 rechargeable Li-ion battery (two CR123A lithium batteries can be used in emergency circumstances). 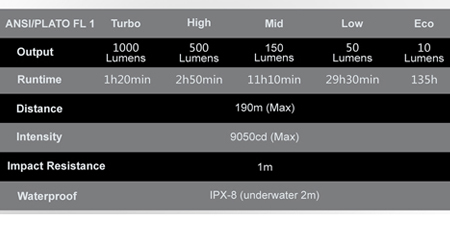 Also, the flat tail cap offers convenient tail-stand capability for using as an upward-facing spotlight.